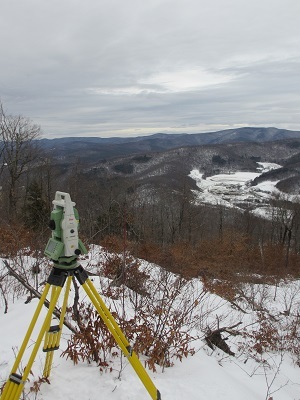 William C. Darling and William C. Darling Jr. are both Registered Licensed Land Surveyors in the State of New York; operating Land Surveying businesses since 1978 and 2015, respectively. Together we have decades of experience providing licensed land surveying services to the residents of the greater Capital District. We combine our experience with top quality modern equipment (including our fully robotic total station and GPS) to obtain precise field measurements. We integrate those measurements with Computer Aided Drafting (CAD) software to create an efficient field to finish product. From small residential house lots, to several hundred acre farms and wood lots, we have the experience and equipment to accurately and efficiently complete your survey. 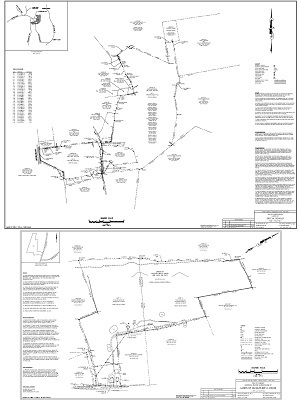 A complete boundary survey includes a research of public records for deeds and maps, a field survey to locate existing boundary evidence, analytical computations to determine boundary line location, detailed mapping, parcel descriptions, and placement of property markers. Contact us to discuss your specific survey needs. When installing a new shed or fence, it may be beneficial to first have the property corners and property lines marked out. We provide quick turn-around to our clients to keep their projects on schedule. A subdivision can be anything from dividing off a parcel of land to give to a family member to dividing a large acreage parcel into several lots to be sold. We can assist you through the various steps of the process: initial planning, lot sizing, local regulations, applications, planning and zoning board meetings. If your house or commercial structure is in a FEMA flood zone, you may need an Elevation Certificate (EC). We are experienced providing ECs and LOMAs. As a FEMA approved eLOMA Professional, we can get a quick determination on your LOMA application. If you wish to learn more about ECs, flood insurance rate maps, LOMAs, and more, please click here to download our informational PDF. 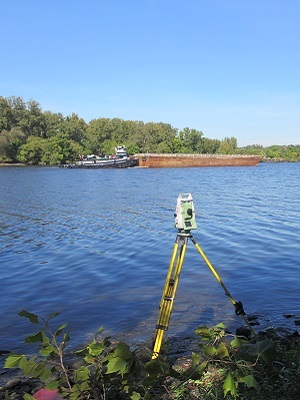 Mr. William C. Darling has operated as a professionally licensed land surveyor in New York State for 40 years and has over 49 years of land surveying experience. He has been an active member of the Eastern New York Society of Land Surveyors (ENYSLS), having held the office of Treasurer and Executive Vice President and served as chairman of various committees. Mr. William C. Darling Jr. became a New York State licensed land surveyor in 2015 and has over 18 years of land surveying experience. Mr. Darling is a graduate of the Johns Hopkins University with a B.S. Degree in Mechanical Engineering. Both of us are members of the Eastern New York Society of Land Surveyors, the New York State Association of Professional Land Surveyors and the National Society of Professional Surveyors. The cost to perform a boundary survey is dependent upon the time it takes to perform all of the tasks required to complete the survey. The complexity of the survey can be effected by the clarity of the deed descriptions, amount of physical evidence found in the field, accessibility to the property, the terrain and the size and shape of the parcel being surveyed. Contact us for a free quote for your specific survey needs. Yes. We now accept credit card payments. Credit card payments are processed securely through (a 3% surcharge will be added to all PayPal payments to cover processing fees). We service clients in New York's Capital District, including: Albany County, Columbia County, Rensselaer County, Saratoga County, Schenectady County, and Washington County. Our primary service area is Rensselaer County where we have completed over 1,200 surveys. We have extensive experience in the Towns of Brunswick and Grafton, as well as Berlin, Hoosick, North Greenbush, Pittstown, Petersburg, Poestenkill, Rensselaer, and Troy.